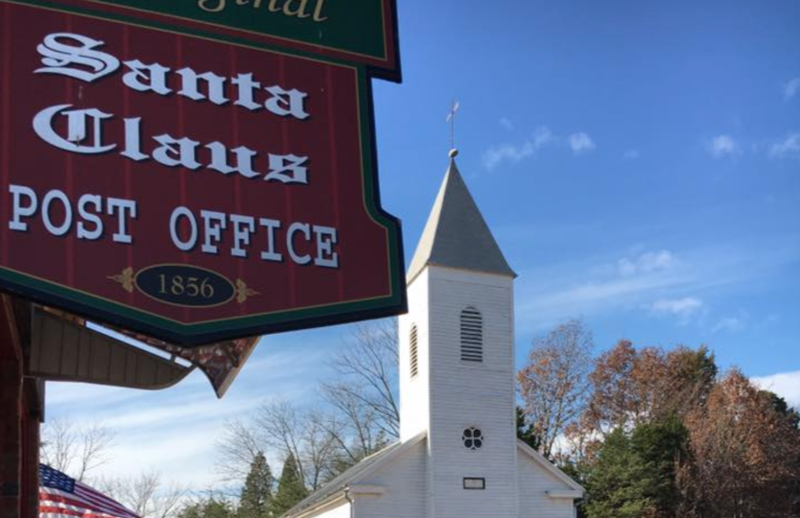 It’s Christmas all year round in the small town of Santa Claus, Indiana. Each year, thousands of letters written to Santa make their way to the small town’s Santa Claus Post Office, which has been the headquarters for Santa’s helpers for more than 100 years. Last year, the town received more than 22,000 letters. And with less than two weeks to go until the big day, Emily Thompson, director of the Santa Claus Museum and Village, told CBS News they’re on track to exceed that. Every child who writes Santa is guaranteed to get a response, as long as they make the town’s Dec. 21 deadline. James Martin, Santa Claus’ 14th postmaster, started the tradition in 1914 after the town began getting Christmas letters in the mail. He was troubled that children’s letters weren’t answered, so he began writing them back. Since then, dozens of community members in the small town of about 2,500 people have come together to keep the Christmas spirit alive. This year, there’s a core group of about 15 elves who work in shifts, seven days a week,12 hours a day. The holiday cheer goes beyond children’s letters to Santa. The Santa Claus Post Office — the only post office in the U.S. with Santa’s name — offers a unique holiday postmark every December. Residents can go into the office to put the stamp on holiday cards or request the special postmark. The post office goes through about 400,00 stamps from Dec. 1 until about Dec. 24, Melissa Brockman, the executive director of the Spencer County Visitors Bureau, told CBS News. “I think some people just really love Santa Claus,” said Brockman, praising the wonderful work Santa’s helpers do. Every child gets an personalized letter, Thompson explained. Written in red ink with a Santa letterhead, elves make sure envelopes are hand-addressed and mailed with the holiday postmark. Thompson’s what you would call a “head elf.” Part of her job is to organize the “elf operation,” keeping track of the elves’ schedule, advertising for elves and even preparing snacks for the elves to keep them energized. “It’s a very Christmas-y place to be,” Thompson said about her home. From chestnut roasting at Santa’s Candy Castle to the Santa Claus Land of Lights that tells the story of Rudolph the Red Nosed Reindeer, there’s no better town to put you in the Christmas spirit, Brockman added.